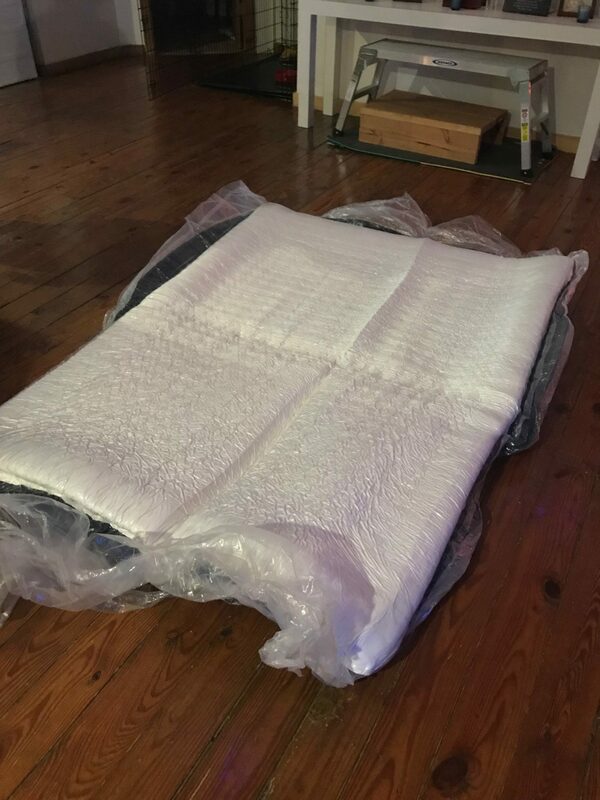 This Brooklyn Bedding Aurora Mattress Review was recently completed by the MattressJunkie.com team. Brooklyn Bedding is committed to making better bedding with complete transparency at affordable prices. Brooklyn Bedding launched in 1995 and is a family owned business located in Phoenix, AZ. A few months ago, we reviewed Brooklyn Bedding’s #BESTMATTRESSEVER. 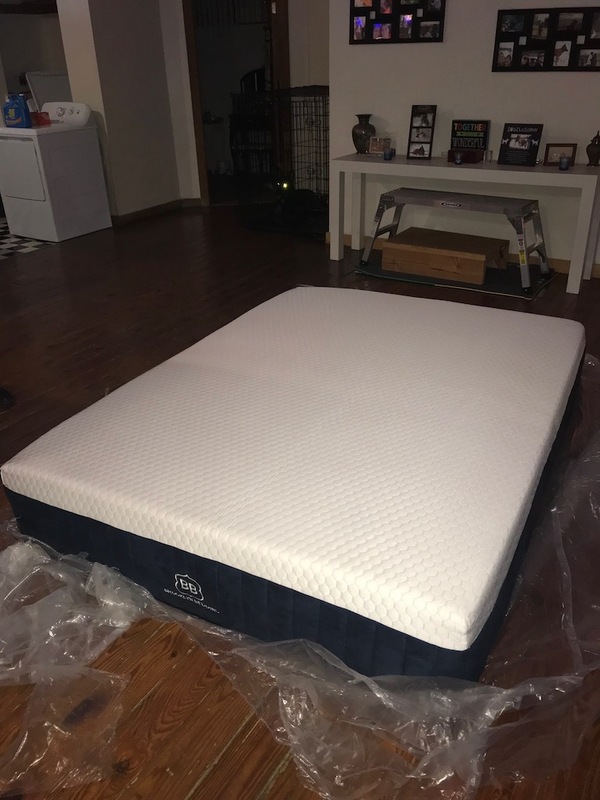 It was one of the best mattresses we have reviewed so we were excited to get our hands on the newest mattress in Brooklyn Bedding’s lineup, Aurora. The Brooklyn Bedding Aurora Mattress is a hybrid mattress that uses Brooklyn Bedding’s very own TitanFlex hyper-elastic foam. Check out more below about the Brooklyn Bedding Aurora Mattress. Tell me more about the Brooklyn Bedding Aurora Mattress cover. 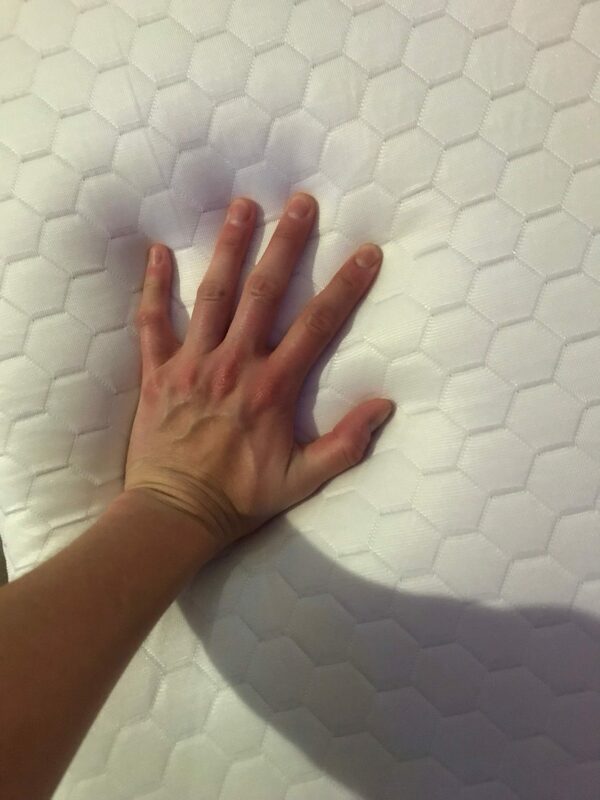 The Brooklyn Bedding Aurora Mattress cover is cool to the touch. Brooklyn Bedding’s TitanCool phase change surface infusion pulls heat from the sleeper’s body and keeps the mattress surface ultra-cool. The Brooklyn Bedding Aurora Mattress cover features a proprietary and luxurious smooth top weave exclusive to premium bedding. The color scheme of the cover is dark blue/navy and white. 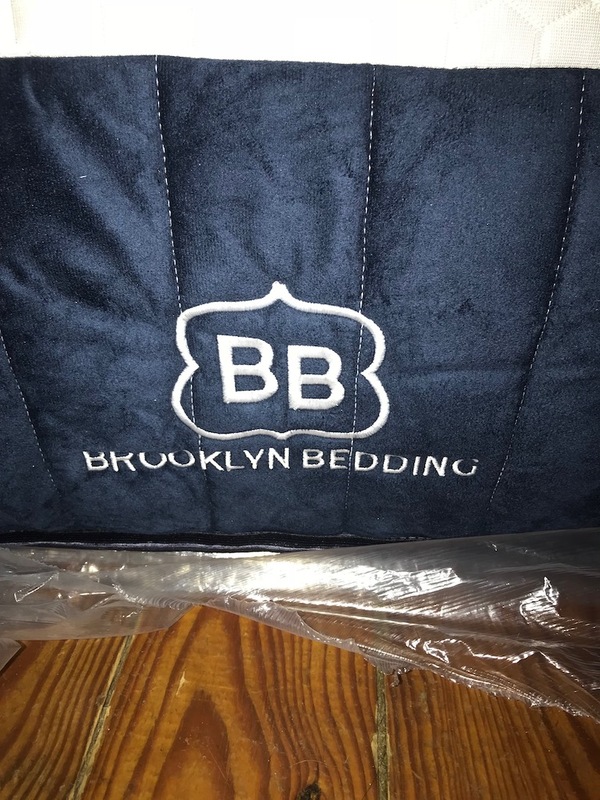 What’s Under the Brooklyn Bedding Aurora Mattress cover? Layer 1 of the Brooklyn Bedding Aurora Mattress is a 1.5 inch copper infused Energex foam paired with cooling surface infusion. This layer serves as a comfort layer while also regulating temperature for the mattress surface. Layer 2 is a 2-inch layer of hyper elastic foam called TitanFlex. TitanFlex is unique to Brooklyn Bedding and provides immediate response to the sleeper’s body while also providing conforming support throughout the sleep experience. The 3rd layer is 1 inch of swirl visco elastic foam. This contouring layer gives the sleeper the contouring properties of memory foam while also providing deep compression support. The 4th layer is comprised of 8 inch Quantum Edge Pocketed Coils. 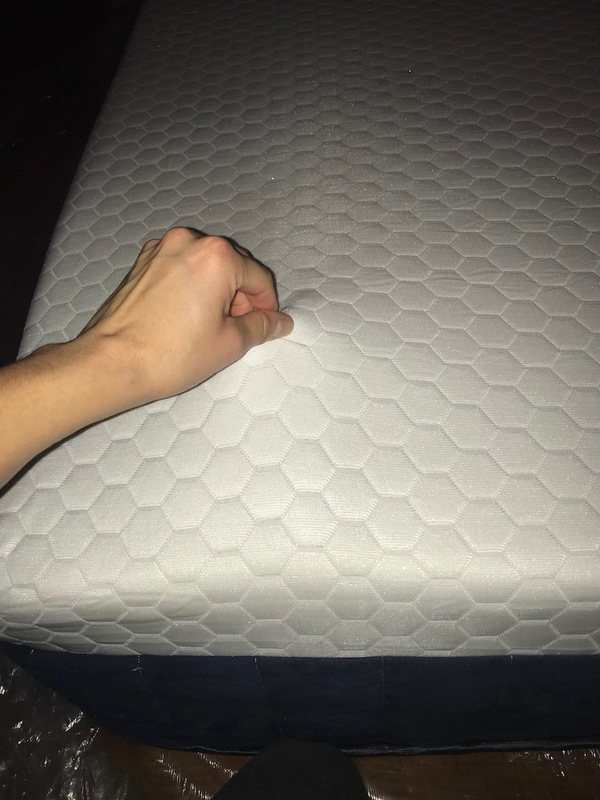 This engineered layer of individually pocketed coils gives the sleeper better response to their movement while also isolating movements when multiple people are sleeping in the same bed. The last layer is 1 inch of high density base support foam. High quality support foam is critical for long term support and mattress durability. What Sleep Style Works Best with Brooklyn Bedding Aurora Mattress? The Brooklyn Bedding Aurora Mattress comes in soft, medium, and firm so every sleep style is covered. The soft mattress would be best for side and back sleepers who want a plush sleep surface. Medium would be a great option for side and back sleepers who like a medium level of firmness. Firm would be best recommended for back and stomach sleepers. What type of base should I place my Brooklyn Bedding Aurora Mattress on? Box spring, platform base, slats, or the floor would all be great options to place your Brooklyn Bedding Aurora Mattress on. Like new cars, mattresses often have a smell when they are unrolled. This smell is called off-gassing. The smell is usually very faint and quickly dissipates once the mattress breathes. The Brooklyn Bedding Aurora Mattress had little to no smell out of the box. 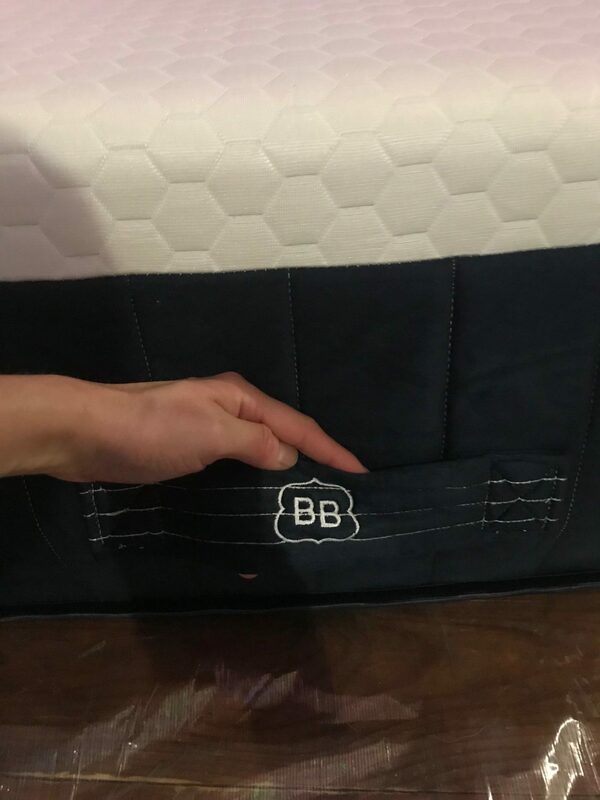 What Type of Warranty and Sleep Trail does Brooklyn Bedding offer on the Aurora Mattress? Brooklyn Bedding Aurora Mattress comes with a 120-night sleep trial so trying it is completely risk free. Brooklyn Bedding also offers a 10-year warranty on all their mattresses in addition to the sleep trial. Do we recommend the Brooklyn Bedding Aurora Mattress? The Brooklyn Bedding Aurora Mattress sleeps very cool. The mattress surface feels cool at all times. The addition of TitanFlex gives the sleeper the best of all worlds. You would Brooklyn Bedding’s Aurora Mattress to be 2-3 times the cost in a mattress store because it really is that luxurious. If you tend to sleep hot and don’t like memory foam, the Brooklyn Bedding Aurora Mattress would be an excellent choice for you. Order the Brooklyn Bedding Aurora Mattress here…..